3 Best Android Video Player Apps | GUI Tricks - In Touch With Tomorrow! 3 Best Android Video Player Apps - GUI Tricks - In Touch With Tomorrow! If you are an Android user, then it's mean you have a portable movie theater. In the modern world, Everything seems to be getting little. Before, people went to Cinema Houses for watching their favourite movies. But due to the technology mean Smartphones, now you can watch your favourite anytime and anywhere. Android phones are really a big invention in the field of Information Technology. If you have a right knowledge then you can get many benefits from it and can make your daily life easily. Basically in this article, I shared best Video Players for Android. You know what if you know about the best Video Players for Android then you can easily enjoy your Videos or movies every time. I already mentioned, if you have an android phone then you can enjoy from it very much. You can get many advantages and benefits from it. In above paragraph, I told that Android phone is a portable movie theater. You can watch movies and videos where you want. But for watch movies or videos in your Android phone you must have a good video player. So if you'll not choose best video player for android device then can never watch your favorite easily and comfortable. So, if you don't have a right knowledge about best videos players for Android then don't panic. Basically, this article is only recommended for those who don't know about the best video players for Android. If you're in one them then read this article, Below are some best and top 3 video players that are fully trusted and free from any virus or spam. Here are best video players for Android. You can download free from Google Play Store without any malware or spam. VLC Media Player is a best for all OS like PC, Mac, Android, IOS etc. It is the best open-source media player which plays your files with almost every known video and audio formats, Along with it, it can also be employed for online streaming media for which most of media players fails. You can download VLC media player for your android mobile device and can play videos and audios through this great media player. Supports ARMv6, ARMv7, MIPS and x86. MX Player is the best way to watch movies on your smartphone. MX Player has tons of support for different subtitles. It is a capable multi-group feature player for Android gadgets. The greatest quality of MX Player is that it can play a wide mixed bag of configurations. 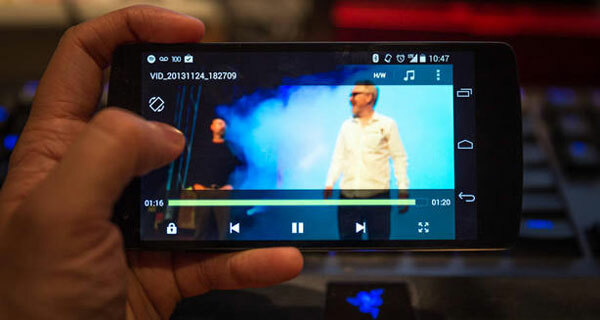 MX Player additionally claims to be the first Android feature player to bolster multi-center interpreting and that its 70% speedier than single-center gadgets. MX Player has standard controls. You can zoom in and out by squeezing and swiping over the screen however interestingly, you can control the scrolling velocity of subtitles which is valuable for little screens. Indeed, MX Player bolsters one of the most stretched out scope of subtitle configurations you'll discover including .SSA, .SMI and .SUB formats. Play almost all formats like .3gp .avi .divx .f4v .flv .mkv .mp4 .mpeg .mov .vob .wmv .webm .xvid etc. Dice Player is a HW accelerated Media player for android. It's best for Dual Core/High end devices for running 720p MKV/AVI. It use HW video decoder at various containers and audio codecs combination. It's also supported to SSA,SMI,SRT, MKV subtitle extraction and Unicode/Multibyte charset. It's very light for all android mobile devices like Samsung Galaxy all series, HTC etc. HTTP Live Streaming with multiple bitrate.